About two years after the Lagos State Deputy Governor, Dr Idiat Adebule, suspended her social media accounts, a 45year-old man, Adamu Aminu, who allegedly impersonated her on the facebook, was on Friday hauled up before an Ebute Meta Chief Magistrates’ Court. He is facing a four-count charge of impersonation, conspiracy, false pretence and fraud. Aminu allegedly created a facebook account using the details of the deputy governor to defraud people. The Prosecutor, Mr Rafiu Aroyewun, Assistant Director, Directorate of Public Prosecutions (DPP), State Ministry of Justice, told the court that the accused committed the offences in Agege area of Lagos sometime in August. Aroyewun said the accused used the account to extort money from unsuspecting members of the public before he was tracked down online by the Police. 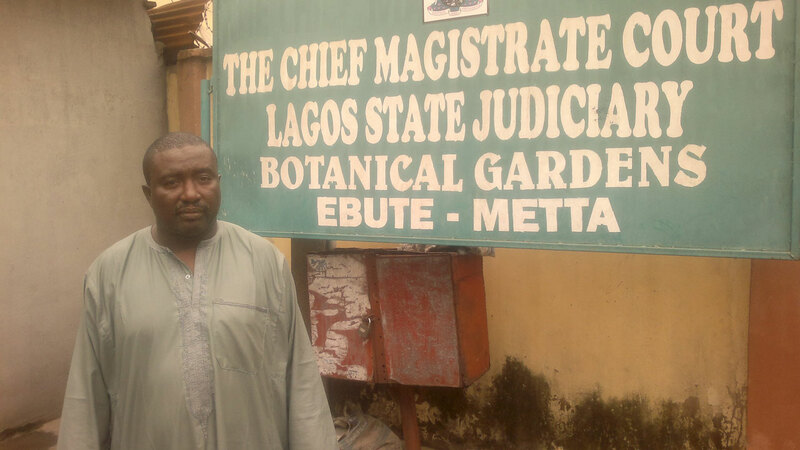 “The accused fraudulently obtained the sum of N1 million from one Mr Bright Obed on the pretext of soliciting funds for an orphanage in Agege set up by the Deputy Governor. “He also impersonated the Deputy Governor by calling and sending SMS on a mobile number 09064583091 to the public. “Investigation is ongoing and we are on the trail of others who are still at large, ” he told the court. The offences, according to the prosecutor, contravened Sections 314 (1), (a), 380 and 411 of the Criminal Law of Lagos State 2015. Aminu pleaded not guilty to the charges. Counsel to the accused, Ms Uzoamaka Nwafor, urged the magistrate to grant him bail on liberal terms. In her ruling, Chief Magistrate Oluyemisi Adelaja admitted the accused to a bail of N300, 000 with two sureties in like sum. She said the sureties must produce evidence of three years tax payment to the Lagos State Government and adjourned the case until Oct. 16 for hearing. The News Agency of Nigeria (NAN) recalls that on Aug. 5, 2015, the Deputy Governor had disowned a facebook account created in her name by an impostor trying to defraud unsuspecting members of the public. Adebule, in a statement, alerted the general public that some unscrupulous elements had been using her name, most notably on facebook, to dupe innocent people.